We are international event agency that specialize in handle ad hoc events and activation campaign, such as road shows, gala dinners, product launching and seminars. We cater every moments of your event from big to small, with full concentration in every aspects. 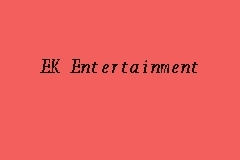 Start share your experience with EK Entertainment today!